ReoStem is a unique, replicable, clinical-stage technology platform for the generation of allogenic stem cells. It covers all stages of cell culture from derivation, expansion, and establishment of cell lines to the preparation of ready-to-use allogenic stem cell products. The resultant product has genomic stability and universal acceptability. 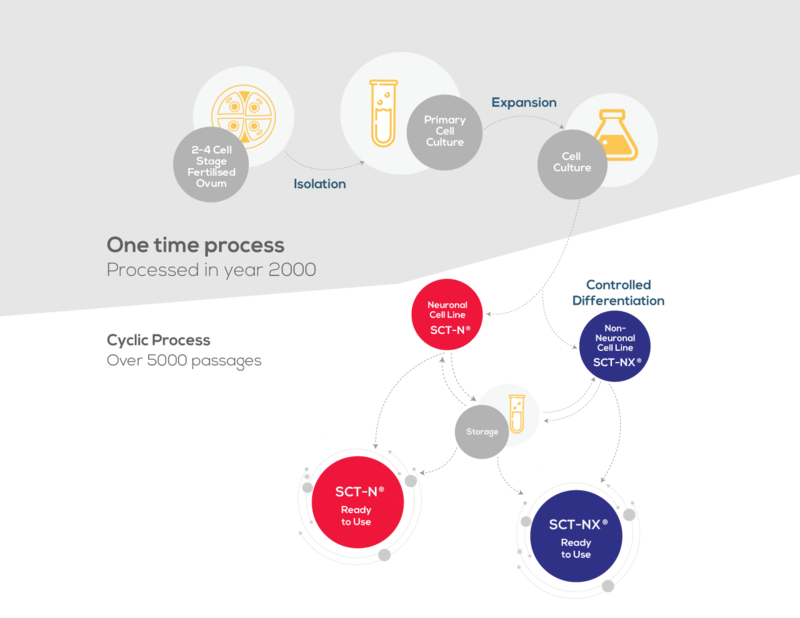 It has been used to establish two ready-to-use allogenic stem cell products:SCT-N® and SCT-NX®. ReoStem technology produces cell lines which are capable of differentiating into all the cell types of the body. The suppression of immunogenic genes make universality an important feature of these cell lines. Greater than 90% viability is routinely achieved in the ready-to-use format when kept under temperature-controlled conditions for more than 10 years. There is no contamination with any animal products, bacteria or fungi. Microarray data show that ReoStem cells are genetically stable. The cell lines were derived from a single, expendable fertilized ovum in the year 2000 from a regular IVF cycle undertaken with due consent. This novel technology was subsequently patented and published. 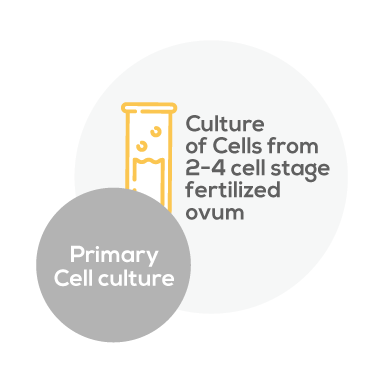 The cell lines are ethically derived from an early stage (2-4 cells stage) spare, fertilized ovum from an IVF cycle after due consent. No animal products are used either in the primary culture media or as growth factors. There are no feeder cells. The cells are grown in suspension and their purity is maintained. ReoStem technology has two cell lines, SCT-N® and SCT-NX®. 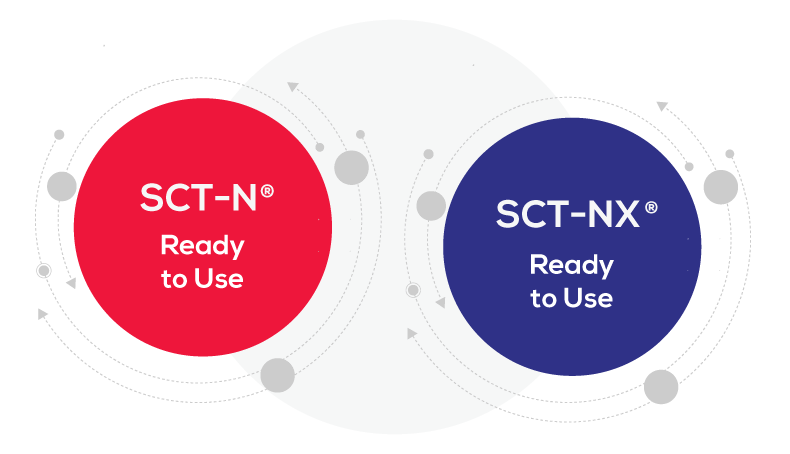 SCT-N® is predominantly neuronal and SCT-NX® is predominantly non-neuronal. Over 5000 passages of the cell lines had been carried out by 2017 while maintaining the full viability and stability of the cells. The cell lines demonstrate long-term chromosomal stability based on over 17 years of observations and over 5000 passages. The technology preserves the purity of the cell lines and maintains the absence of surface antigens. Thus, the cell lines need not be matched to the recipient and are applicable universally. The cells do not trigger an immune reaction due to the absence of HLA antigens on the cell surface. Therefore, no immune-suppressants are required to be co-administered with the cells/ treatment. Safety and efficacy studies and longitudinal observation over a time frame of over 15 years has confirmed safety of the technology. No adverse events, teratomas or tumours have been observed. 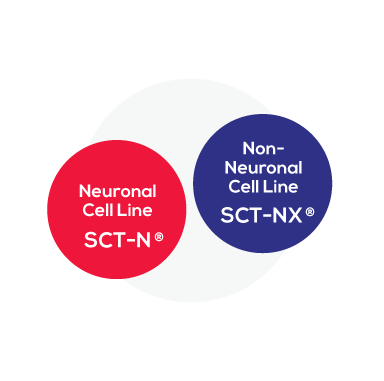 The two cell lines SCT-N® and SCT-NX® are available in pre-packaged form ready for clinical use without the need for any further processing. The ready-to-use product has a shelf life of 10 years when stored under specified temperature conditions. 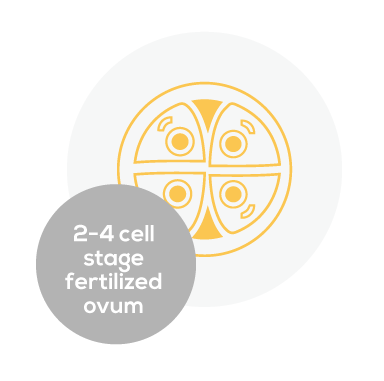 ReoStem platform has derived its cell lines, SCT-N® and SCT-NX®, from a single, expendable fertilized ovum taken from a natural IVF cycle with full and informed consent of the donor. The cells are cultured in an animal product-free media in suspension. The number of cells greatly increase after incubation. Post incubation, the cells are expanded and selectively primed to create two cell lines, SCT-N® and SCT-NX®, enriched for neuronal and non-neuronal precursors, respectively. Uniquely, ReoStem permits incubation and expansion in a cyclic process. These cells can either be stored or re-incubated. The cells are stored at -18°C to -22°C. The cells are centrifuged and re-suspended in clinical grade normal saline. This is the ready to use product. 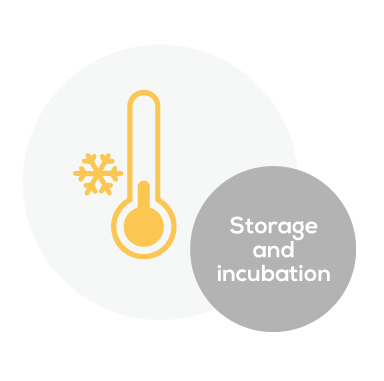 The ready to use product should be stored at -18°C to -22°C. Its viability is maintained for more than 10 years. The end use is for clinical application. The product needs to be thawed before use.